American Herring Gull banded green alphanumeric V18. 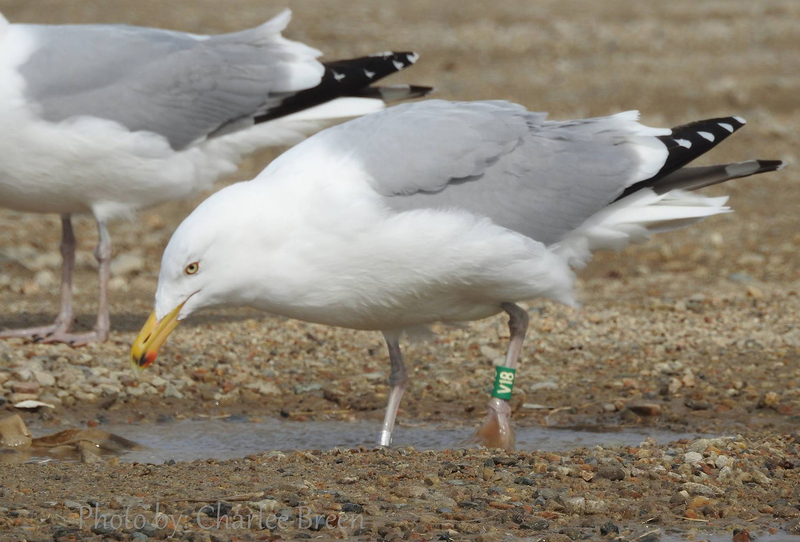 An 'Appledore Gull' banded on Appledore Island, Maine, banded as chick on July 18 2012, when too young to fly. From this image it seems to be in perfect adult plumage, but an open-wing shot of this age-class may reveal some vestiges of immaturity in the greater primary coverts or secondary centres.